It's not often trades unions and employers are equally worried about an issue threatening workers' rights. But recently, the UK's Trades Union Congress and the main body that represents British businesses, the CBI, have both voiced concerns about the budding practice of implanting employees with microchips. Initially, the chips are being used in place of ID cards as a way of opening secure doors. But there's good reason to think the use of implants could expand to more sinister purposes, giving employers much greater control over their workers and raising serious concerns over issues related to human dignity, ethics and health. Businesses often do need some way to monitor employees to be sure they are completing their work and how much they should be paid. But in recent years, we've seen some more extreme monitoring methods that push at the boundaries of personal privacy. These include surveillance of employee emails, wearable technology that can track employee movements, and radio tags on factory products that allow bosses to monitor how fast workers on an assembly line are operating. But implanting microchips in employees creates a new level of monitoring and control simply because workers can't easily remove them or turn them off. Microchip implants are typically the size of a grain of rice inserted under the skin between the thumb and the forefinger. They can allow people to enter buildings or use vending machines with just the swipe of their hand. Proponents say this makes life more convenient as employees don't have to carry ID badges or key fobs. Organisations that deal with sensitive information also say that such chips allow them to set restrictions on who can access this information. Most companies using these chips present them in this fairly innocuous way and think the fear surrounding their use arises from misplaced suspicions. 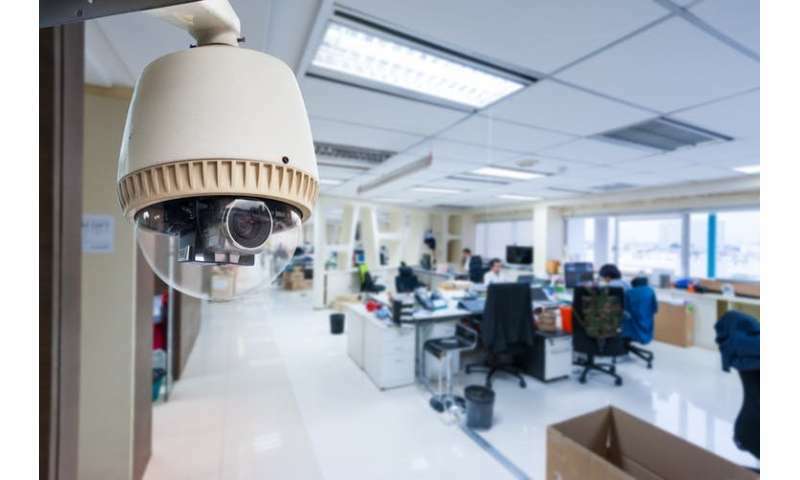 But too much monitoring can make employees feel spied on, damaging their productivity, creativity and motivation as well as their personal well-being. Some research also suggests that implanted chips are susceptible to security risks and increase the potential for identity theft given that it is relatively easy to hack a microchip implant. So employees could be subjected to something that actually threatens their personal security. What's more, employers' motivations for introducing chip implants are unlikely to be entirely altruistic. There is nothing to stop them from using the technology to track employees' whereabouts or activities outside work. The chips can be reprogrammed while inside the body, modifying their use and purpose from what might have initially been agreed between the employer and the employee. And this ability to track an employee's location without their knowledge raises serious ethical concerns regarding their right to privacy. We've already seen how employers can use data ostensibly gathered for benign purposes to discriminate against workers. For example, personality tests designed to assess what job someone is most suited to have come under scrutiny for discriminating against people with mental health issues. Microchip implant data recording where employees go outside of work could be used to discriminate in similar ways. Even if implants are technically voluntary, it's not hard to imagine situations where employees might feel pressured to accept the chips by their managers or warned of unfavourable consequences if they don't agree. Other increasingly intrusive forms of monitoring are already seen as an inescapable reality within many workplaces. For example, remote access to emails means some workers are expected to be on call at any time. This increases pressure on employees to work longer hours at the expense of their private lives, as well as creating another way for employers to track their activities. Employees who choose to opt-out of company monitoring programs can also suffer real financial costs. In 2013, a pharmacy company launched a controversial health-screening program that allegedly required employees to disclose personal information to their insurance provider and threatened to charge them US$600 a year if they refused. This kind of pressure can mentally condition workers to think that constant monitoring is the way forward. There is also limited information about the safety and health risks associated with the use of chip implants. As well as potential physical health risks, it is equally important for employers to understand the risks that microchip implants might pose to mental health. Employees receiving an implant might feel coerced to modify their usual behaviours because they know they are always being monitored and so experience high levels of stress and anxiety. Plus we don't know very much about what kind of surgical intervention might be required to safely remove a chip, especially if it moves away from its initial implant site. The good news is that in many developed countries, companies are expected to afford employees some level of privacy. In the EU, new data protection legislation (GDPR) means employers are expected to conduct privacy impact assessments when they engage in processes that represent a high risk to the rights of data subjects. Covert monitoring should only be carried out in exceptional cases when there is no other reasonable way to monitor employees. This means that due to the concerns about the risks to privacy as well as health and security posed by chip implants any attempt to introduce them on a larger scale would likely face strong legal challenges. But that probably won't stop some employers seeing what they can get away with at a time when it's increasingly common to let private companies know almost everything about us.